Okay….wow….I didn’t think it would happen. I didn’t think that it was possible to make Funyuns any more awesomeR. But they did. They wents and didds it, yo! 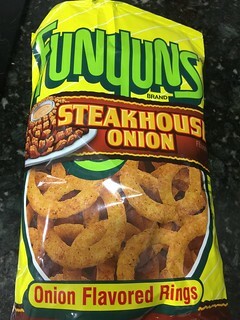 These “Steakhouse Onion” are supposed to have a “Bloomin’ Onion” sorta taste to them I guess?? I don’t know – I don’t eats bloomin’ onions enough to know. 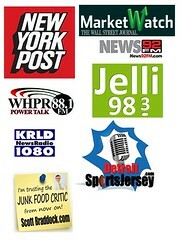 All I know is these things are AWESOME!!!!!!!!!!! It’s a fuller-body flavor all over those crunchy rings. I am afraid to type this because it’s prolly a limited time thing…which means I will love them…and they will leave me…..just like prom night. Go check them out and report back!